Hunting down werewolves can reap rich rewards in Wolf Hunters, a Gothic horror-themed video slot from Yggdrasil Gaming. Played using a 5 reel, 20 payline game engine, it comes with respins with sticky wilds and 3 different free spin rounds complete with wild extras. Play on all devices from between 20p and £100 per spin. Yggdrasil Gaming are among the top developers when it comes to design and Wolf Hunters is another impressive looking title. A misty historical street scene forms the backdrop to the reels. There you’ll see playing card suit symbols alongside bottles of poison, daggers and traps. The best of the standard symbols is the howling werewolf. There’s also a wild that replaces everything bar the Hunter and Huntress free spin symbols. As usual for an Yggdrasil Gaming video slot, there’s plenty of bonus action on offer in Wolf Hunters. 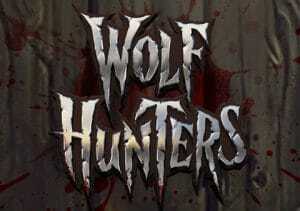 Werewolf feature – when a werewolf symbol lands, the Hunter and Huntress will take a shot and try and wound the beast. If they hit the target, you’ll receive a respin with the werewolf becoming a sticky wild. The Hunter or Huntress will also receive a rage point and the werewolf’s Life Total reduces by 1. Scatter Free Spins feature – land 2 or more free spins scatters on the same spin to trigger this round where your reward will be 10 free spins. Rage Free Spins feature – this round becomes active once the Hunter or Huntress has amassed 100 Rage Points. 7 free spins are on offer here. Slayer Free Spins feature – once the Werewolf’s Life Total meter has gone from its starting point of 600 right down to zero, you’ll be awarded 10 free spins. The werewolf becomes wild during these free spins. You can improve your free spin chances by collecting upgrades. Collecting 3 Hunter free spin symbols adds 2 more free spins to your tally. When the Hunter takes a shot at the werewolf and hits the beast, it turns wild and expands up and down 1 position. Collect 3 Huntresses and you’ll also get 2 more free spins. Direct hits expand the wild wolf 1 position to the left. Wolf Hunters has much in common with Yggdrasil Gaming’s Vikings series – like Vikings Go Berzerk. The gameplay isn’t quite as complex (thankfully) but there’s a similar feel to the free spins and their associated extras. The sound and visuals are as well done as usual. Add all that together and you come up with a very playable overall package. Whether or not you’re a fan of the horror genre, the regular respins and the potential on offer from the free spin rounds make Wolf Hunters well worth a spin. If you like the werewolf theme, NetEnt’s Mr Green Moonlight is highly recommended.